A six-game win streak and one successfully run table later, the NFC North Champs will arguably be the hottest team to take the field in this weekend’s Wild Card round. The Packers will ride that momentum from Detroit to Green Bay for a postseason rematch with Eli Manning, who has won his last seven playoff games as an underdog and is the only visiting QB in NFL history to have a 2-0 postseason record at Lambeau Field. We will no doubt be reminded of those Giant upsets from 2008 and 2012 often in the lead up to (and during) this game. But with DE Jason Pierre-Paul out indefinitely, Eli is essentially the only key player left from either of those teams. An even bigger difference will actually be found on the Giants sideline, where former Packers assistant Ben McAdoo has replaced former head coach Tom Coughlin. It’s only fitting that McAdoo’s first career playoff game as New York’s head coach will be against a QB monster he helped to create. McAdoo’s Giants (11-5) have reached the playoffs this year not because of Manning, but rather a defense that has allowed just 339.7 yards/game (5th-best in the NFC) and 17.8 points/game (1st), a dramatic turnaround from last season when they allowed an NFL-worst 420.3 yards/game. They’re led by DPOY candidate Landon Collins, a second-year star Safety from Alabama, as well as cornerbacks Janoris Jenkins, Dominique Rodgers-Cromartie, and Eli Apple, who comprise the best group left in the postseason. Without JPP, the pass rush is essentially a one-man show now with DE Olivier Vernon (8.5 sacks). Collins has done it all with 125 tackles, 5 picks, and 4 sacks. Defensive Coordinator Steve Spagnuolo typically engineers pressure from the secondary, with DBs accounting for 8 of the team’s 35 sacks in the regular season. But when these teams met back in Week 5, the Giants opted for the more standard anti-Rodgers blueprint by limiting their blitzes and playing mostly straight man coverage. The result was 0 sacks and 406 yards allowed, but only 23 points thanks to two uncharacteristic Rodgers interceptions (both by Jenkins). If you look back, Jordy was noticeably sluggish in that game and had several bad drops, but has more recently regained his Pro Bowl form. On the flip side, Randall Cobb was easily the best receiver on the field that day with 9 grabs for 108 yards, but is questionable this week with an ankle injury. Eddie Lacy led the way with 81 yards on 11 carries that day before suffering the ankle injury that ultimately ended his season. 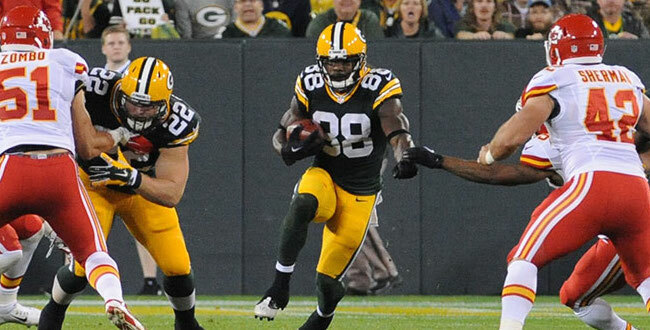 FB Aaron Ripkowski and former WR Ty Montgomery have formed an unlikely explosive tandem in his absence (combining for 17 carries and 105 yards last week in Detroit), but they will have a tougher time against New York’s 3rd-ranked Run Defense by DVOA. Every great duo needs a nickname…Rip & Ty…Rip Ty…RIP TYDE. DONE. The Packers ultimately won that Week 5 game thanks to their defense (seriously), but were aided by Manning missing several throws that should have gone for big gains. The real story was Odell Beckham Jr. somehow being held to just 5 catches for 56 yards (and a late TD). With a rushing game that ranks 29th in the NFL (more on this later), the Giants offense essentially revolves around quick throws to OBJ hoping he eventually breaks one. Despite the presence of OBJ and a solid #2 in rookie Sterling Shepard, Manning finished 2016 with just 65 completions of 15+ yards, the second lowest total of his career. Despite Eli’s struggles, Dom Capers still has to engineer one of his finest defensive gameplans to keep NY in check this week. His secondary is essentially down to three healthy corners: Ladarius Gunter (4th on the preseason depth chart), Micah Hyde (a true safety), and Josh Hawkins (an UDFA who hasn’t played in months). Damarious Randall should play, but will presumably be at far less than 100%. Fellow ‘Bama alum HHCD has 5 picks himself this season, but needs to do even more in the playoffs. 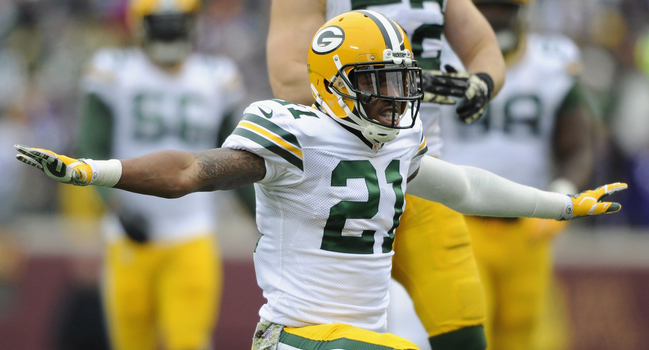 Despite the Pro Bowl-caliber play of Safeties Morgan Burnett and HaHa Clinton-Dix this season, the cornerback injuries have just been too much to overcome. They’ve allowed the 2nd most passing yards in the NFL despite seeing just the 16th-most attempts, and their 8.1 YPA allowed is the worst in the league. Woof. 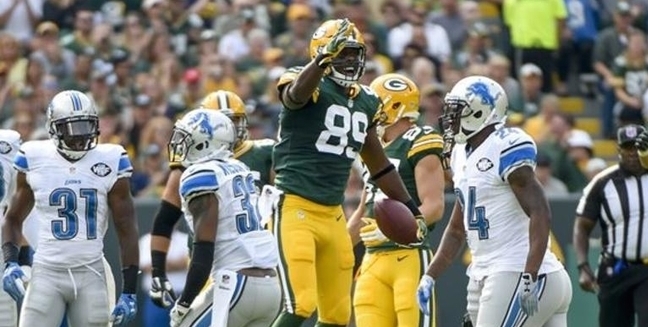 Green Bay’s saving grace defensively is a pass rush that finished 6th in the NFL with 40 sacks. Nick Perry (11 sacks), Julius Peppers (7.5), and Clay Matthews (5.0) all need to take advantage of shaky offensive tackles Ereck Flowers and Marshall Newhouse, who rank 67th and 40th in pass protection, respectively, per PFF (out of 77 qualifiers). 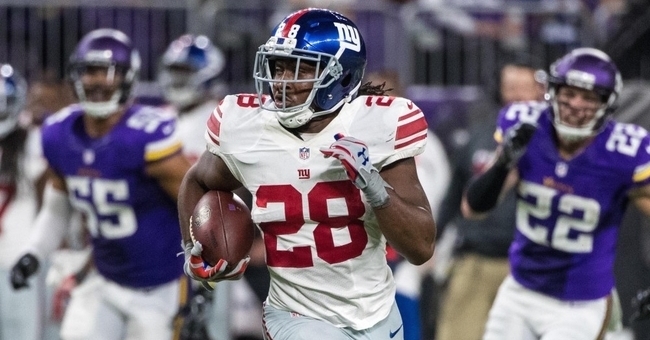 When he’s been healthy, Rashad Jennings has been the starting running back this season with mixed results, but rookie Paul Perkins has quietly emerged as a legitimate #1 NFL back in recent weeks. Perkins led the team last week with 21 carries for 102 yards (compared to just 18 for 52 for Jennings), and has 226 yards on 47 carries over the last three weeks combined (4.8 YPC). If he remains the featured back this week, it could be a game changer for New York against a slumping GB run defense. While the Giants corners have smothered wide receivers this year, their linebackers and safeties have had far more trouble defending the middle of the field. The Giants are a top-5 defense against outside WRs per DVOA, but rank just 26th against tight ends. Richard Rodgers wasn’t good enough to capitalize on this back in week 5 but Cook, who was out for that game, should be the focal point this week. He’s averaged 59 yards on 7 targets the last three games with much of the damage coming on third down. He’s a big reason why the Packers are 2nd-best in the league with a 46.7% third down conversion rate, and should be in line for close to double digit targets this week. Since throwing two picks against the Giants, Aaron Rodgers has thrown just four interceptions in 12 games since and hasn’t been picked in his last 245 attempts (the longest streak of his career). He doesn’t have a single postseason interception at home since 2012 (ironically, against NY). Manning on the other hand has accounted for 20 turnovers this season despite his team’s extremely conservative offense. Assuming the Giants defense has less luck creating turnovers this time around, they’re going to need to continue dominating in the red zone. They’ve allowed touchdowns on just 40% of opponent trips inside the 20, which is the best rate in the NFL (the Packers defensive rate of 62% ranks 28th). The Giants can theoretically win with a bend-but-don’t-break approach, but the Packers have to capitalize on every #LolEli moment and create some turnovers if they’re going to survive without two or three of their starting corners. Follow Faris on Twitter @Chef_BoyarG!